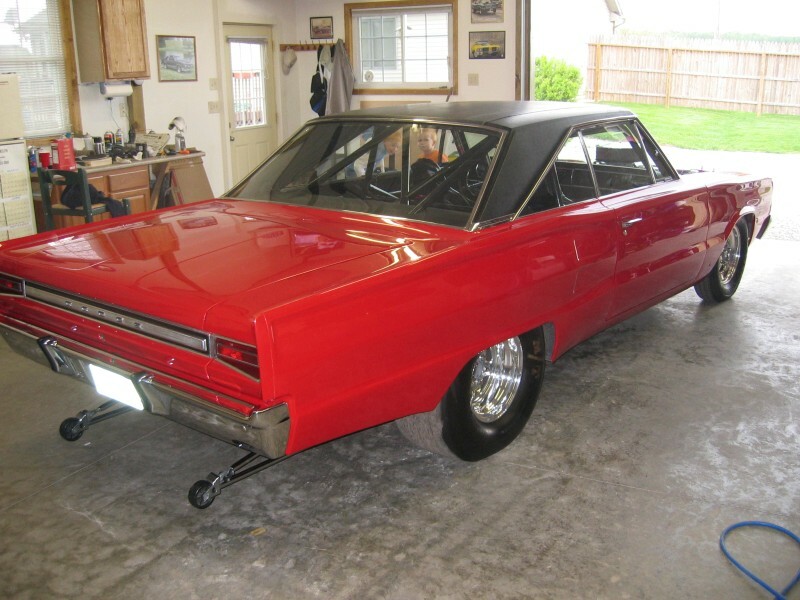 FINISHED PROJECT. 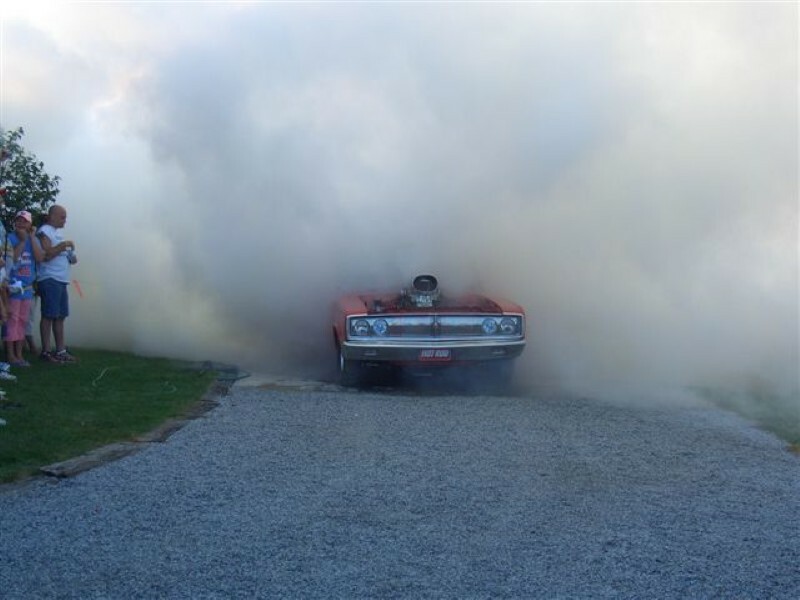 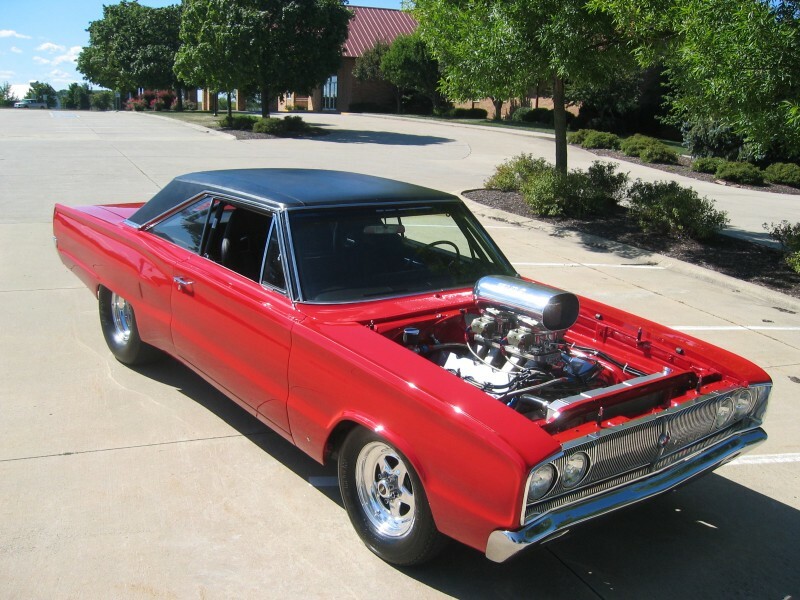 INSTALLED 605 CI HEMI 1000 HP… REWIRED…INSTALLED NEW TRANSMISSION…NEW EXHAUST…MANY UPDATES INSTALLED. 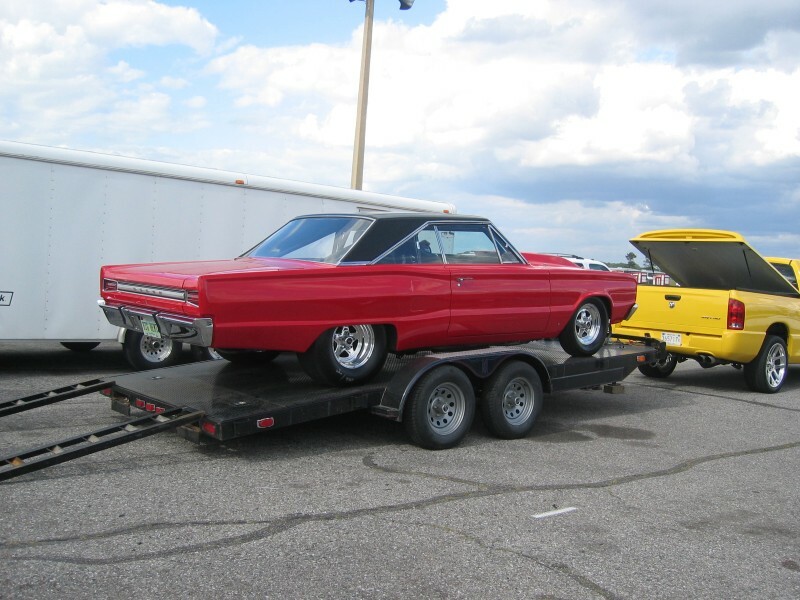 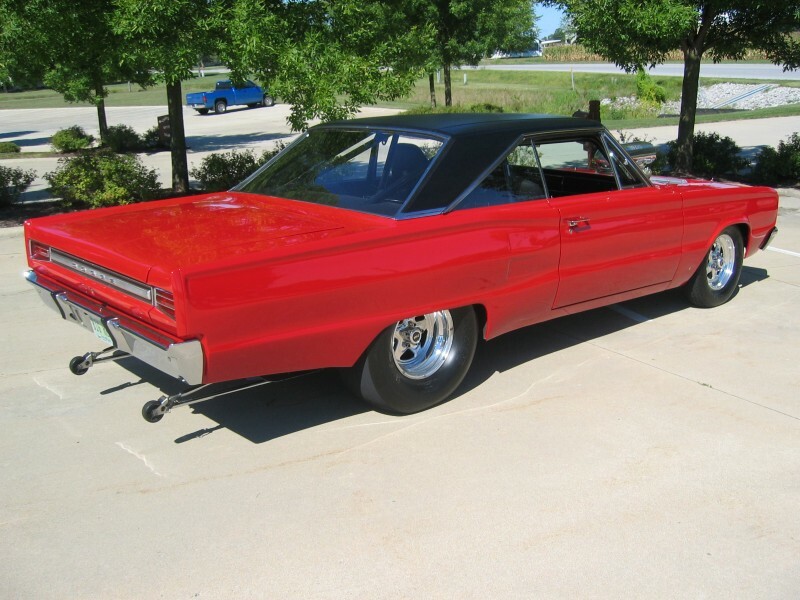 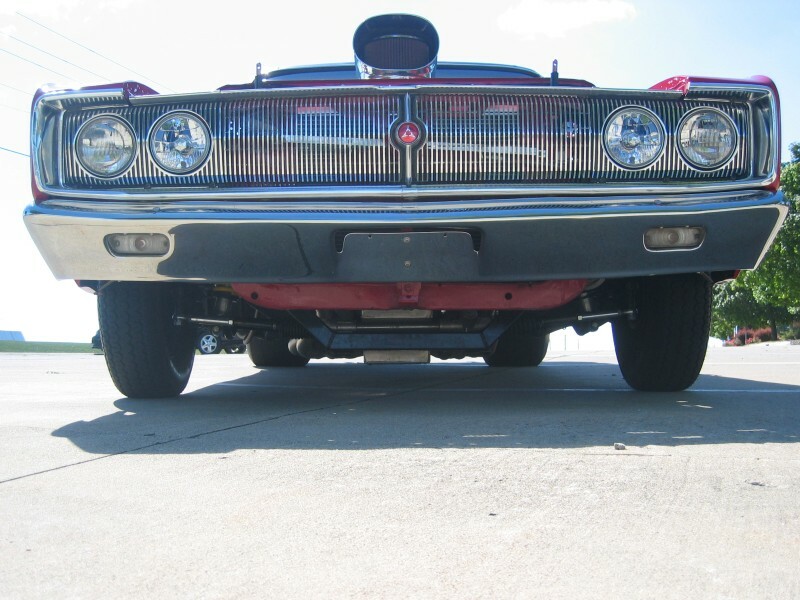 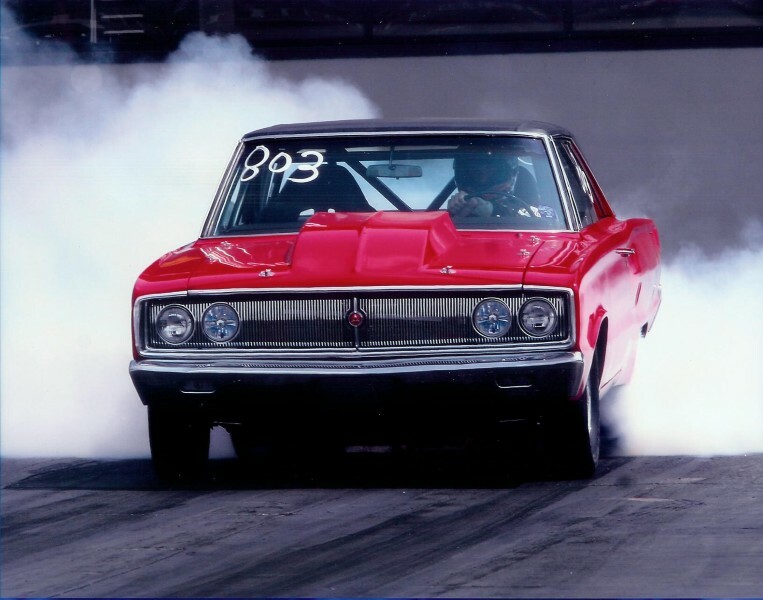 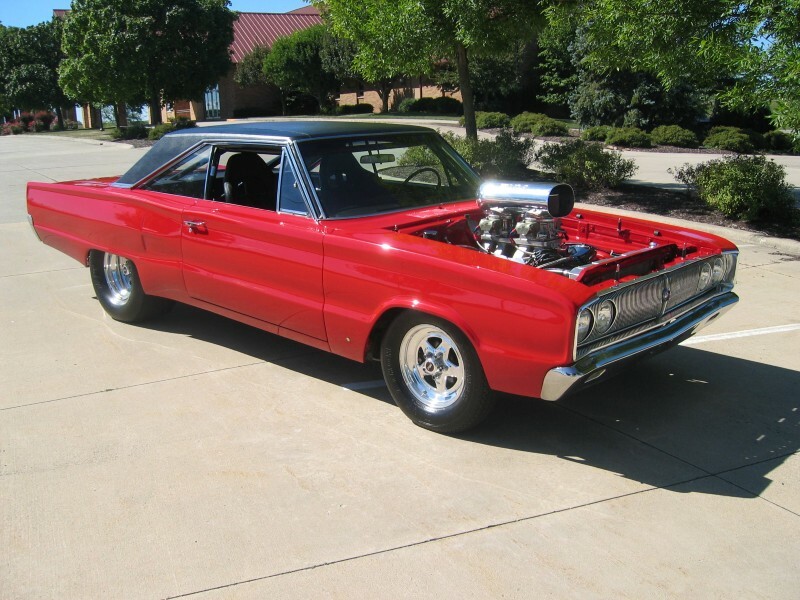 1967 HEMI Dodge Coronet! 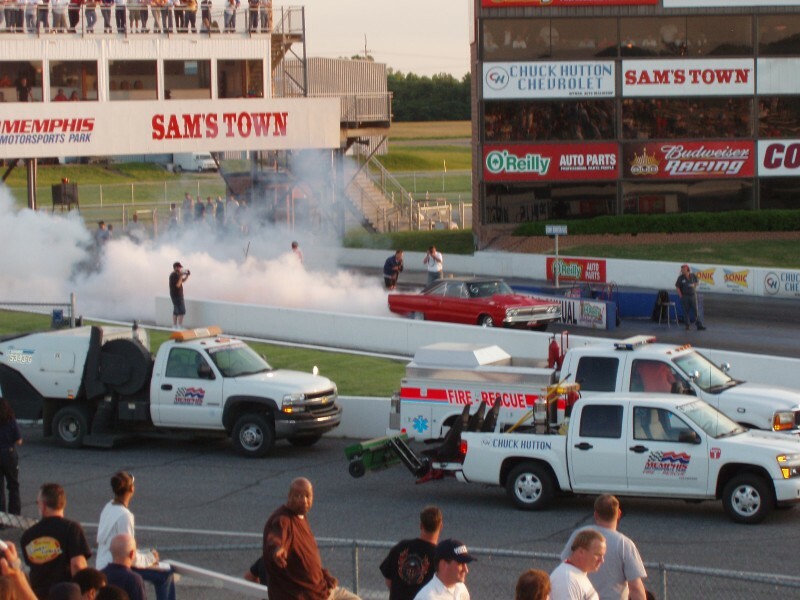 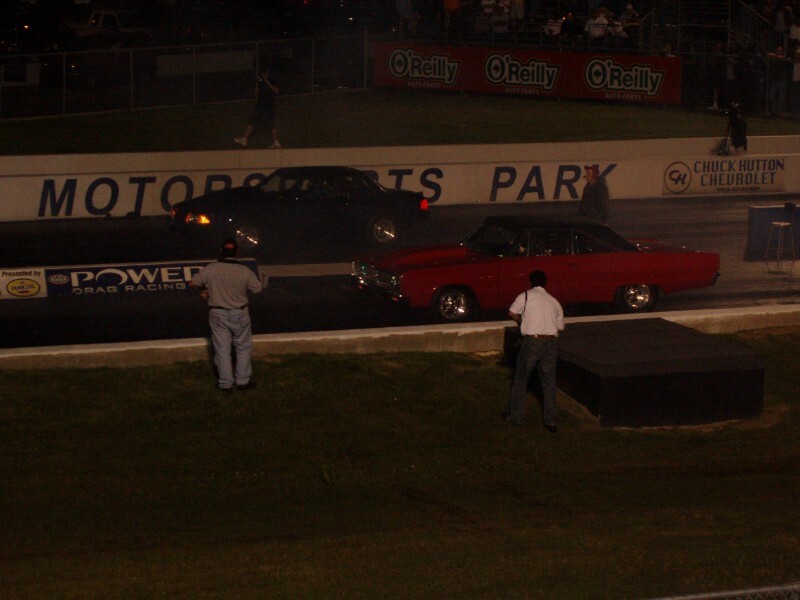 Hot Rod Magazine’s Top Ten finisher in the Pump Gas Drags! 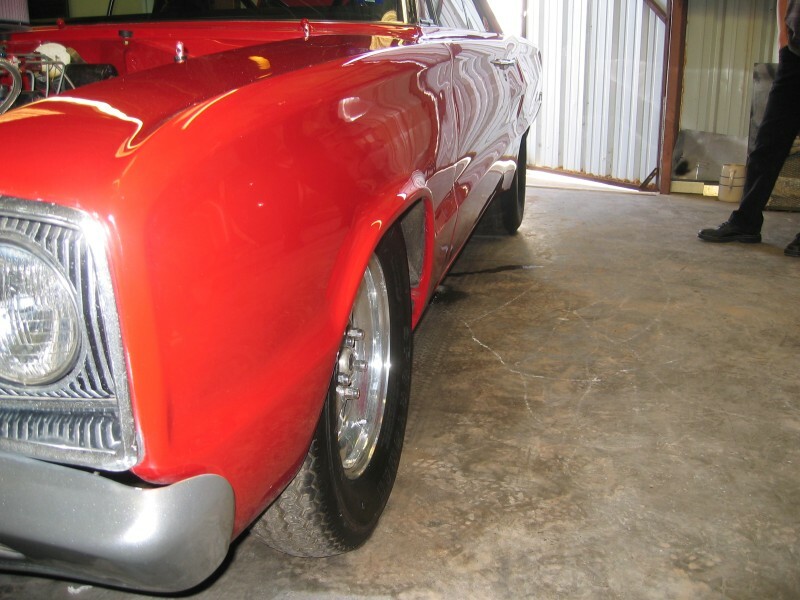 Street Legal and Very Drivable! 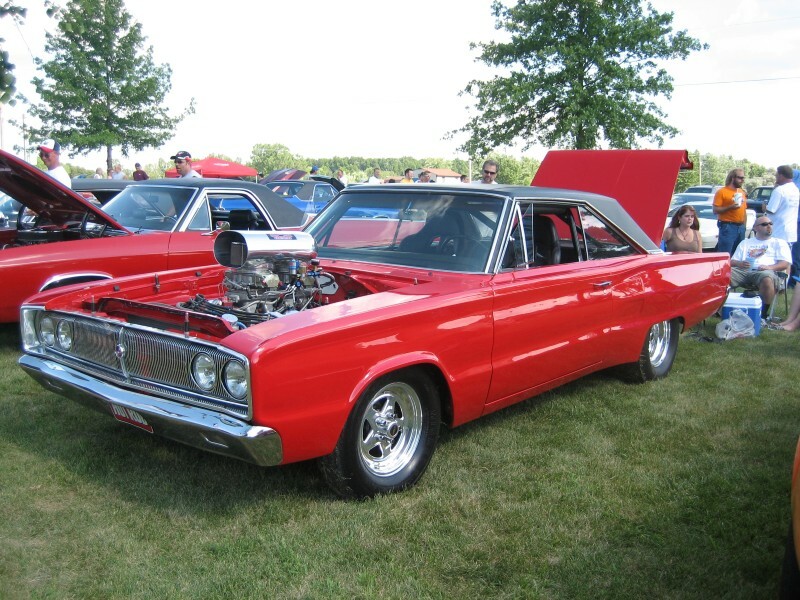 You will draw a crowd when you pull up in this Super Clean, Viper Red, 1000 HP HEMI Coronet. 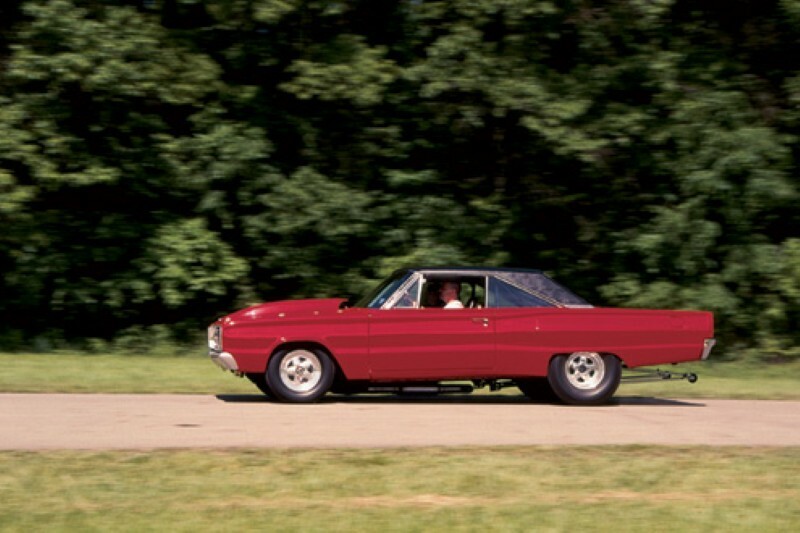 This car has been in numerous magazines, web pages, and TV shows, such as: Mopar Muscle Magazine, Hot Rod Magazine, Mopar Collectors Guide, Hotrod.com, Moparmusclemagazine.com, Compcams.com, and Hot Rod TV, to name a few. 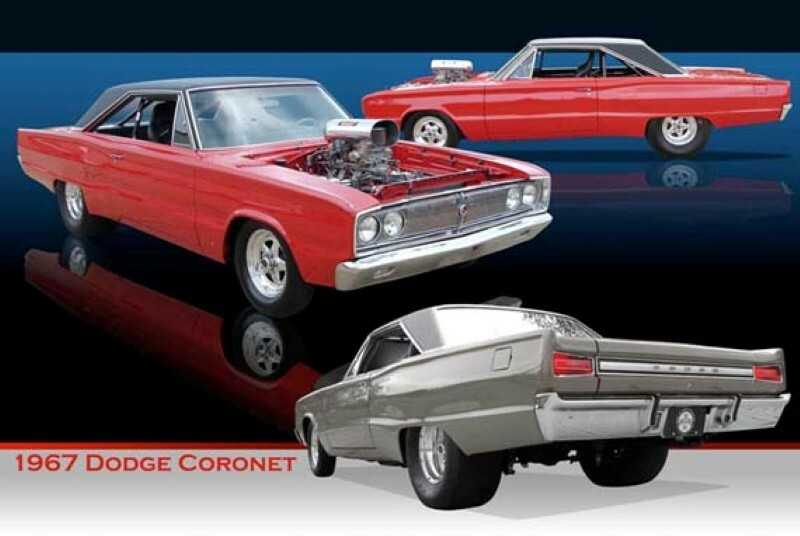 This painstaking and spectacular transformation of this HEMI Coronet started in 2001 when the car was fully restored to this Pro Street Status. 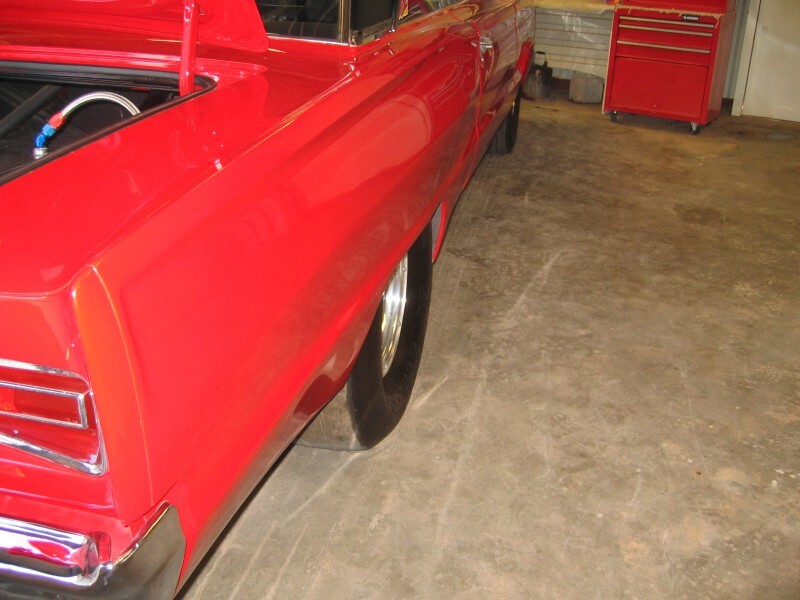 The car was striped down and painted by First Choice Auto Body in Elkhart, Indiana. 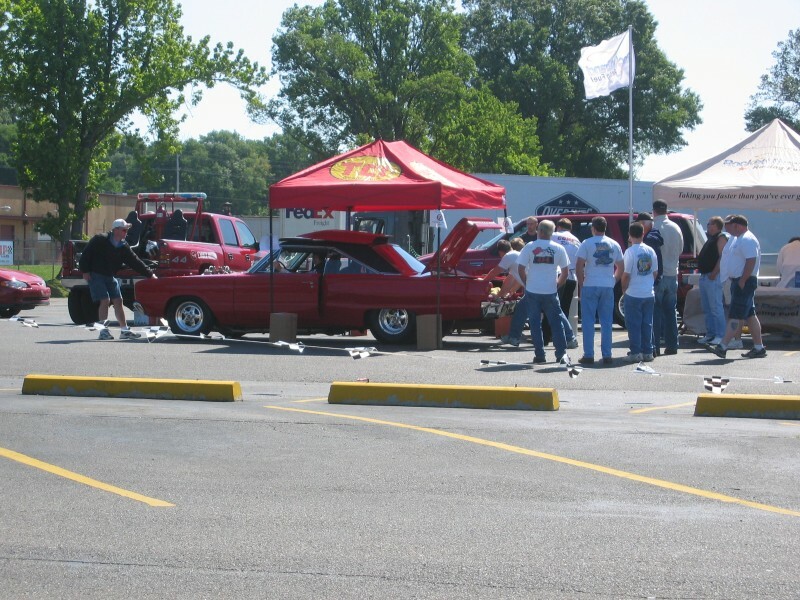 The paint is an eye-searing 2002 Viper Red. 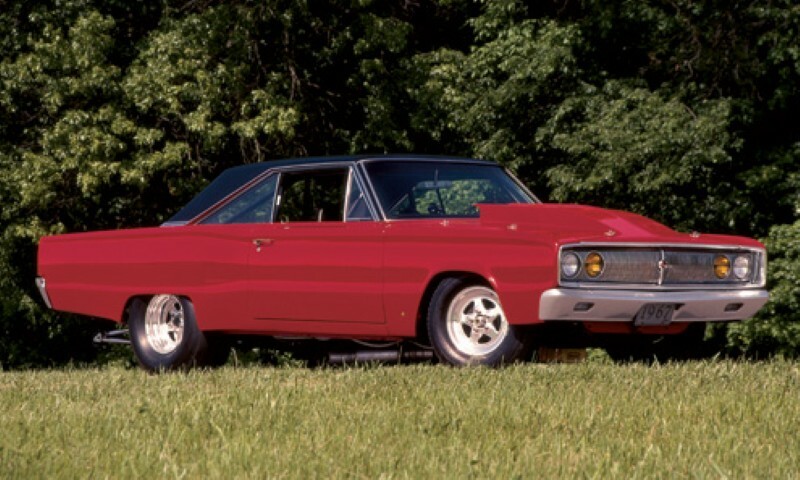 Since the Coronet was destined for street action, they demanded an interior that exceeded mere sheetmetal trim. 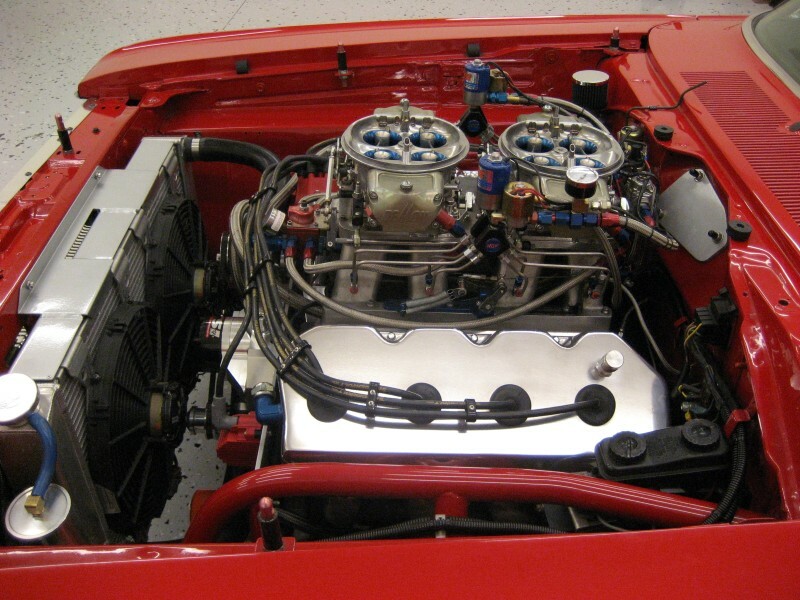 New carpeting was installed under the lightweight bucket seats, with aftermarket gauges fitted to the factory dash. 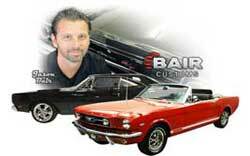 The dashpad, door panels, and headliner are also of the factory flavor. 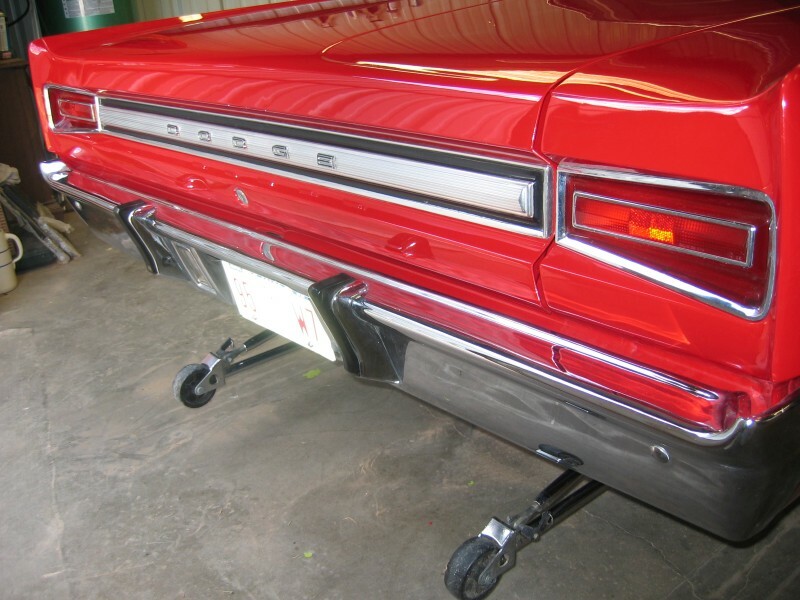 Incidentally, the vinyl top is the original covering installed at the factory in 1967. 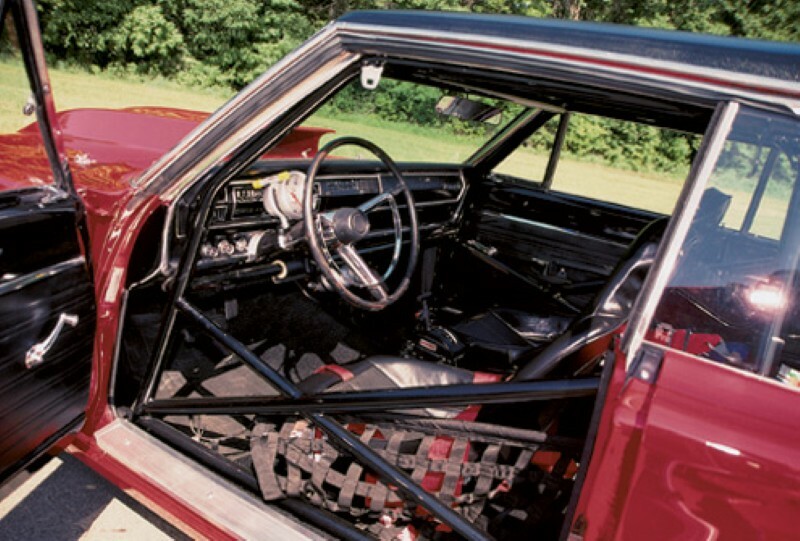 To keep the cockpit and its occupants safe and secure, they topped off the interior redo with a 12-point rollcage built by Larry Trussell of Trussell Race Cars in Dowagiac, Michigan. 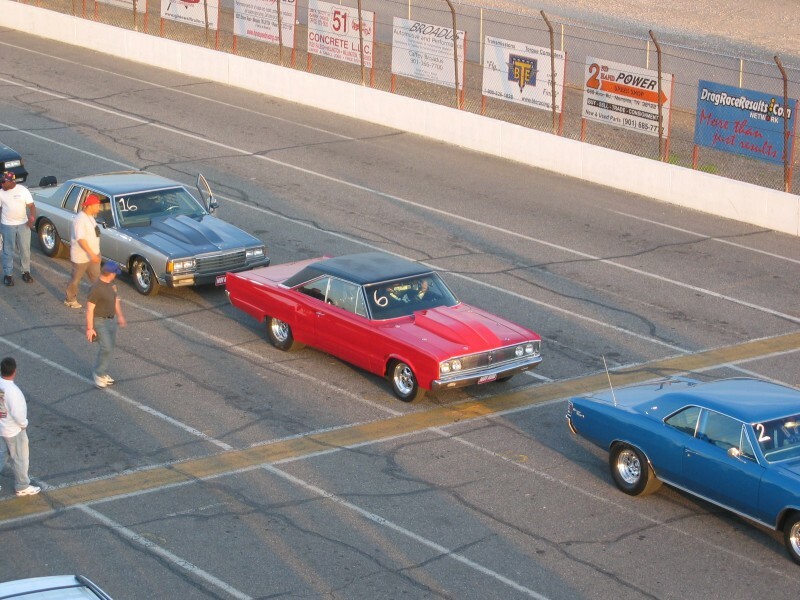 Of course, raw power is useless if you can’t make “the hook,” so Virgil Blevins and Frank Nigro installed a ladder bar setup by Alan McMillan. 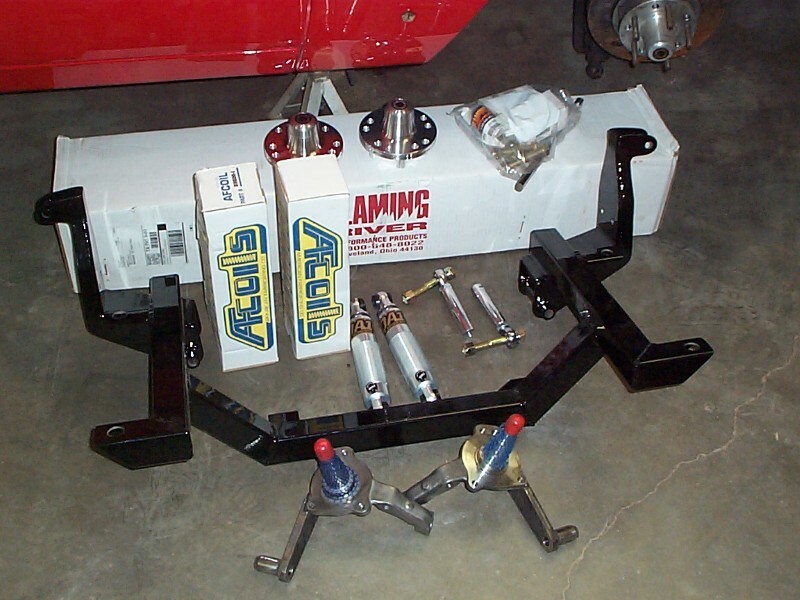 That assembly supports a Dana 60 rear with Moser axles, a Strange spool and 4.10 Richmond gears. 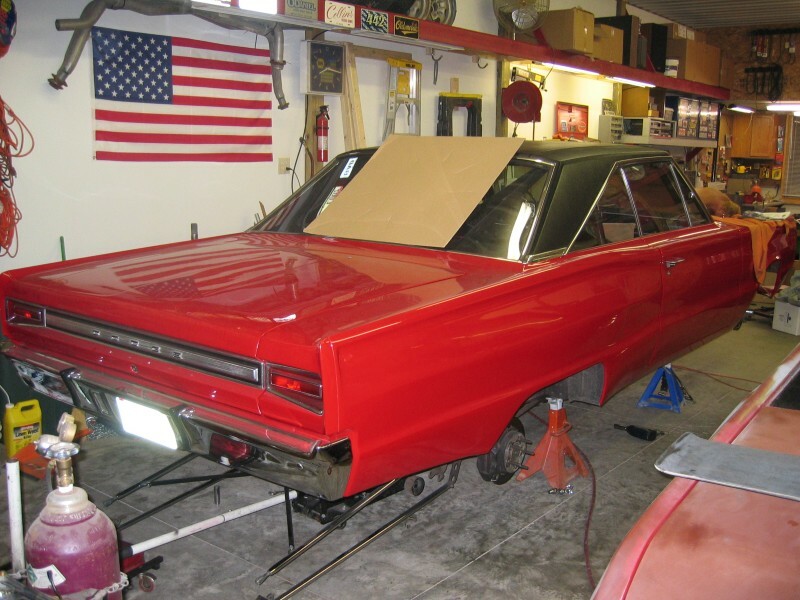 Finally, M/T rubbers mounted on Weld wheels were added to the suspension/handling mix and topped off with a Wilwood brake system. 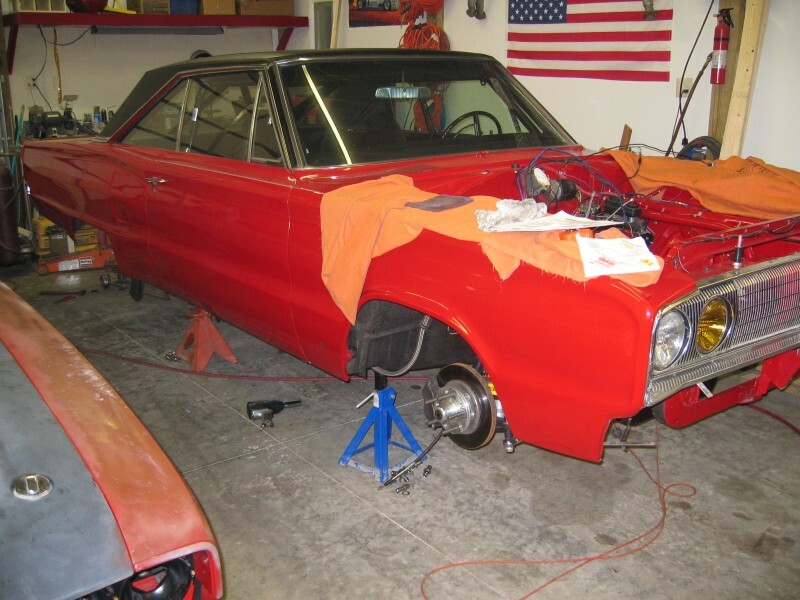 We bought the car in May 2005 and Big Hemi installed the 605 ci HEMI with a couple of minor updates the car was ready for the street and strip. 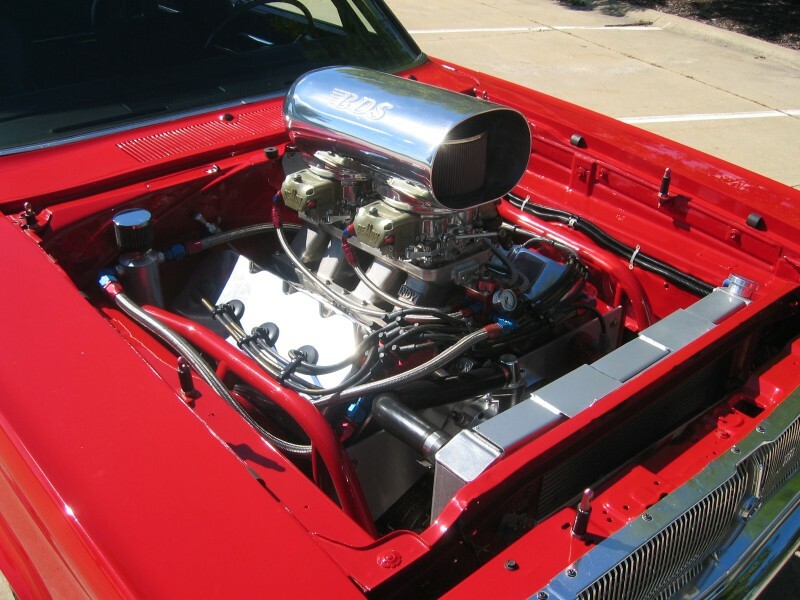 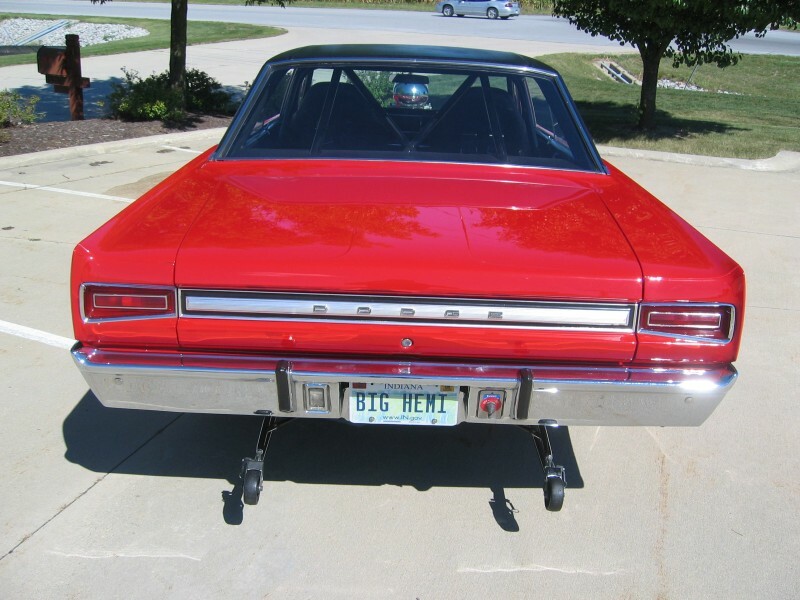 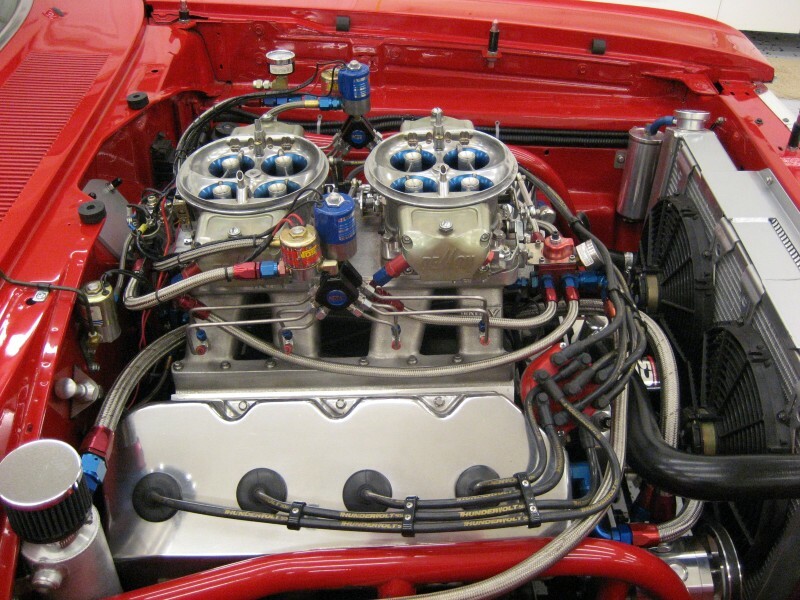 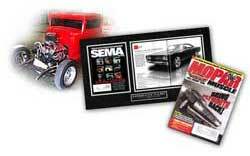 The Hemi was freshened up in spring 2006 by Mick Bodigon, Mad Max, and Muscle Motors. 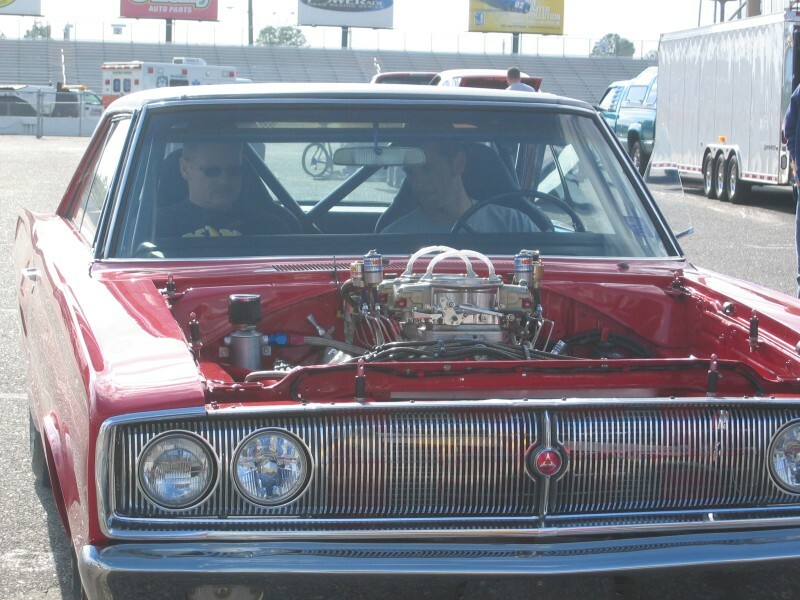 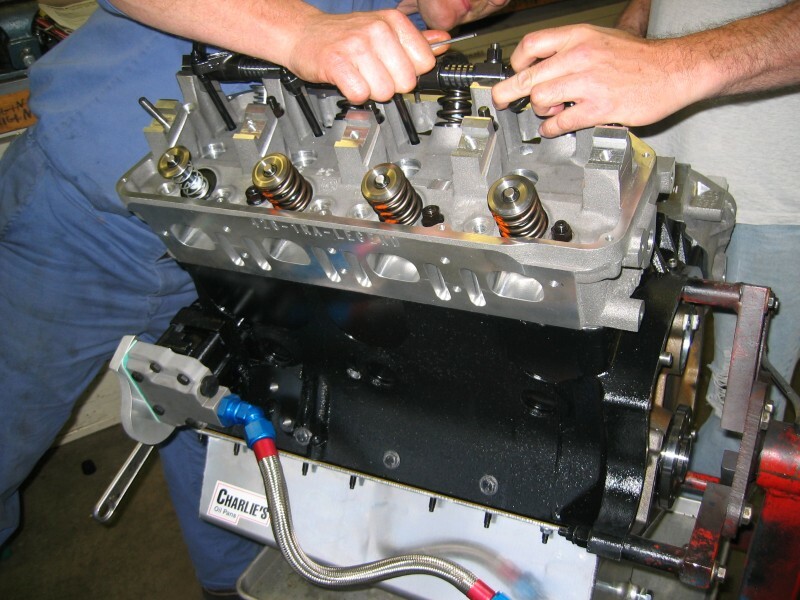 The motor was broken in and dyno tested by Mike Ware of Muscle Motors at Pierce Race Engines, Lansing MI. 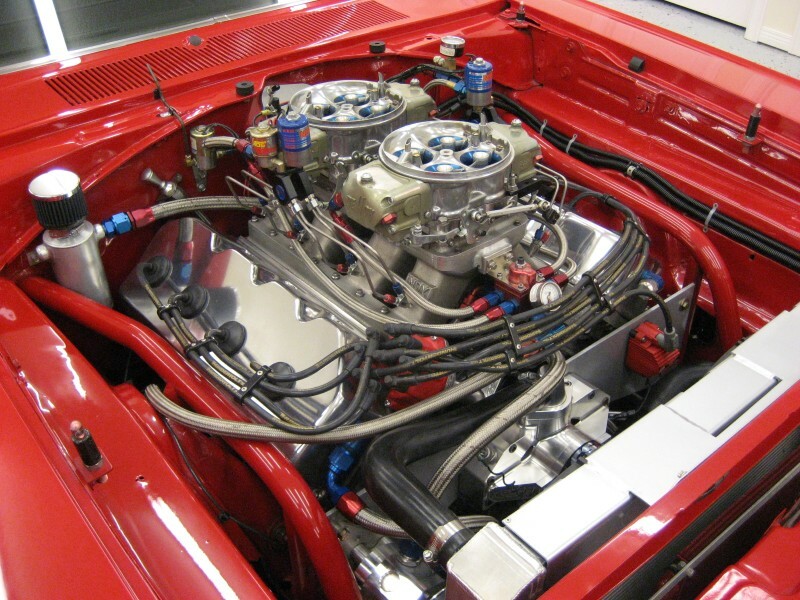 It makes over 1000 HP on pump gas naturally aspirated. 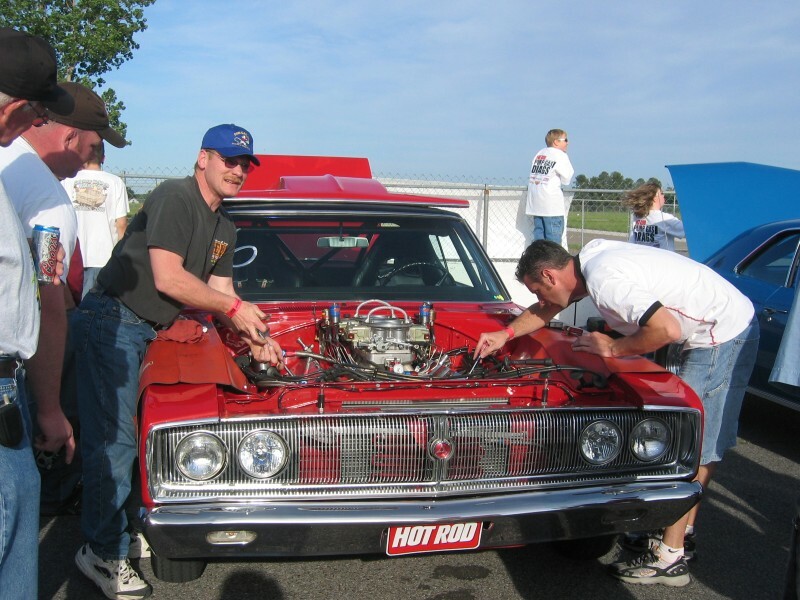 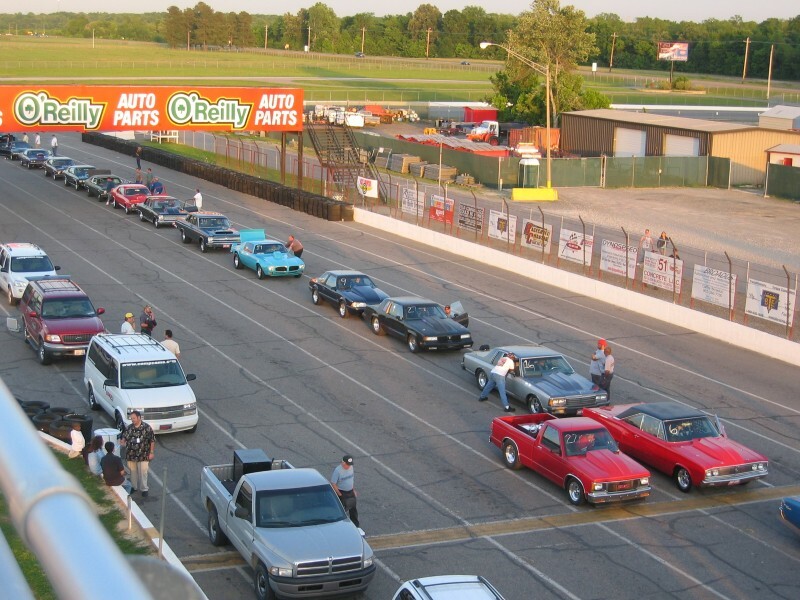 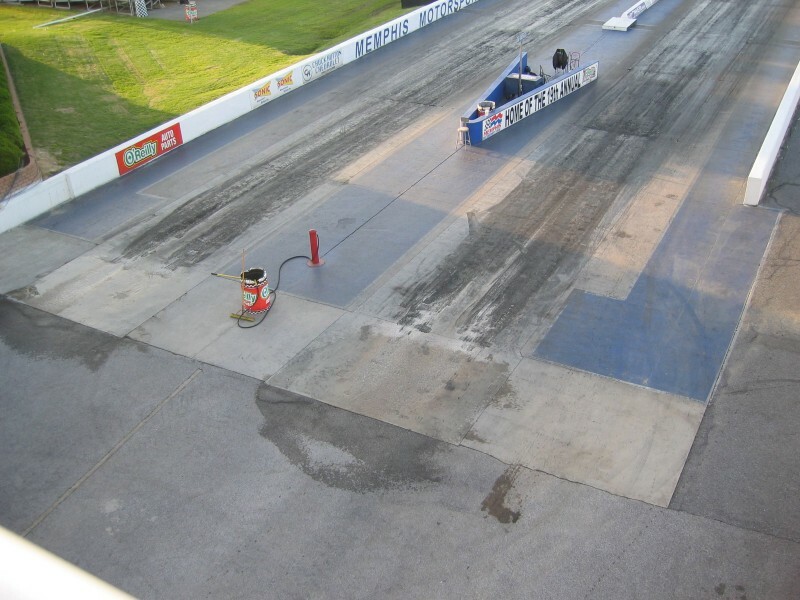 After attending some muscle car events and some local cruise inns, I entered the Hot Rod Magazine’s Pump Gas Drags. 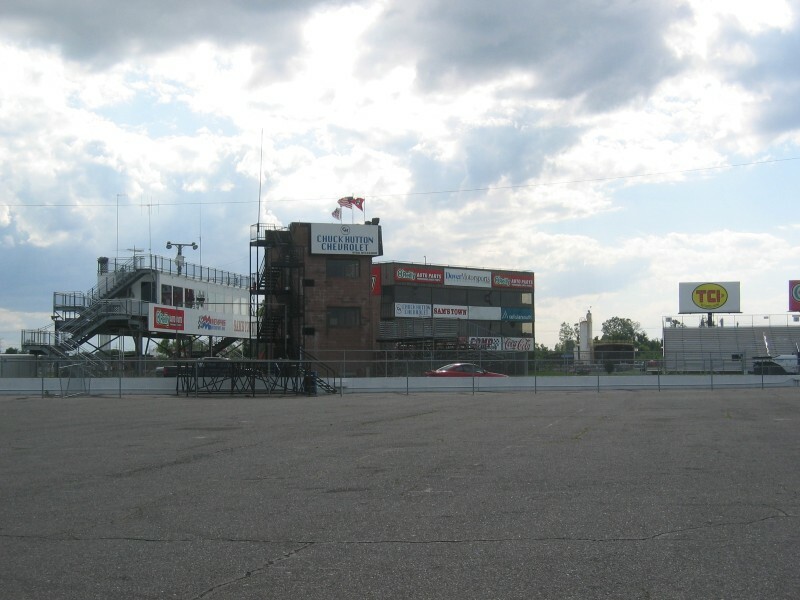 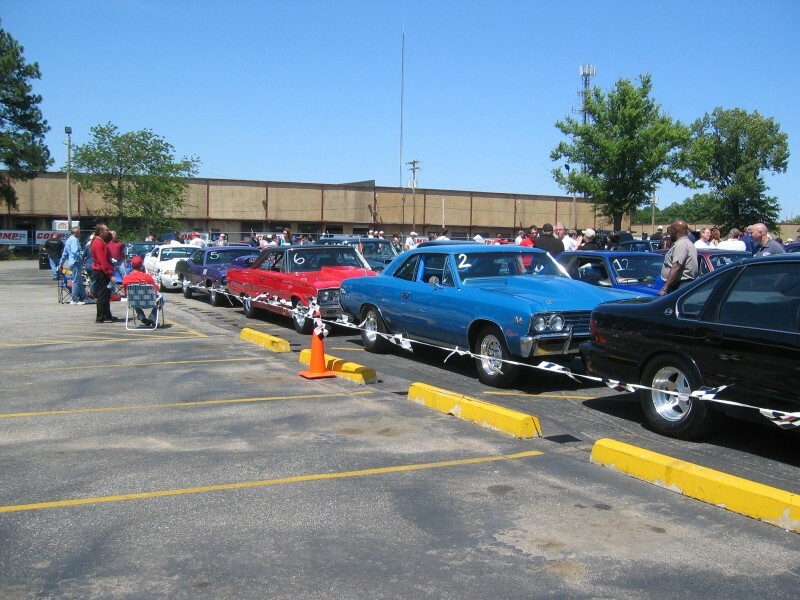 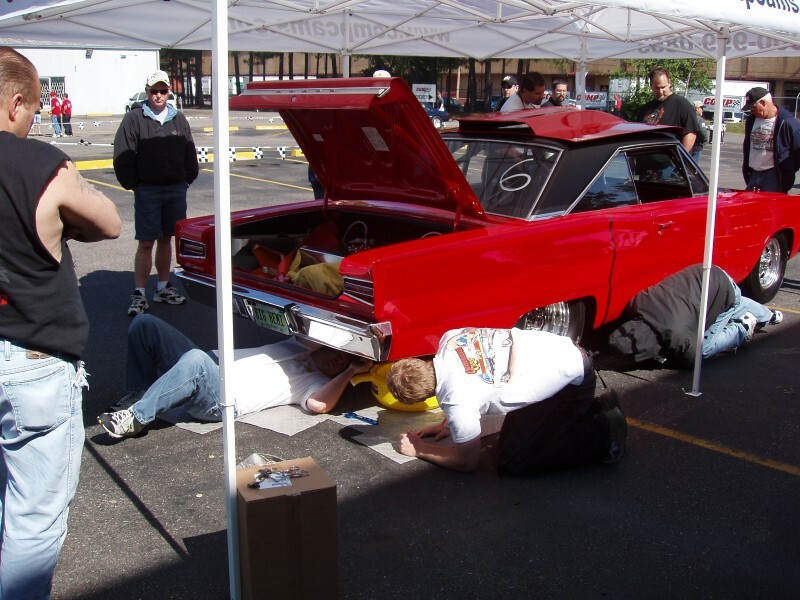 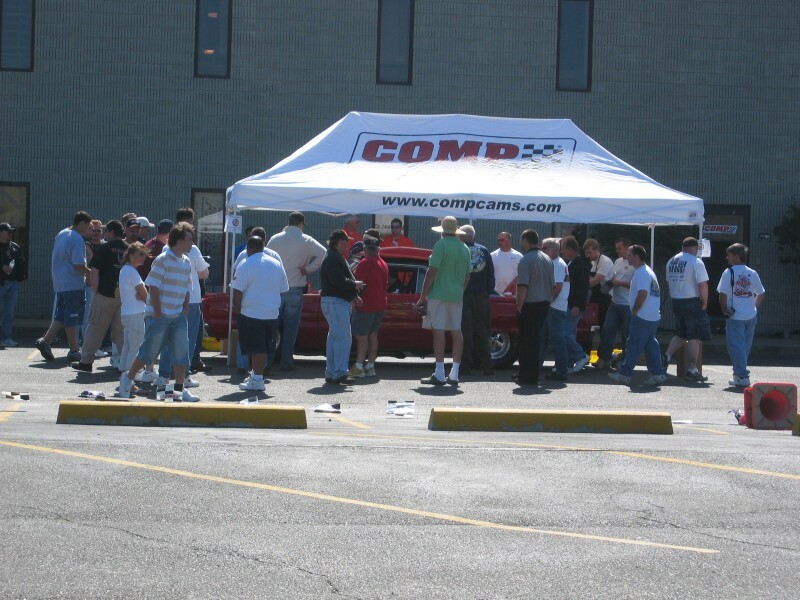 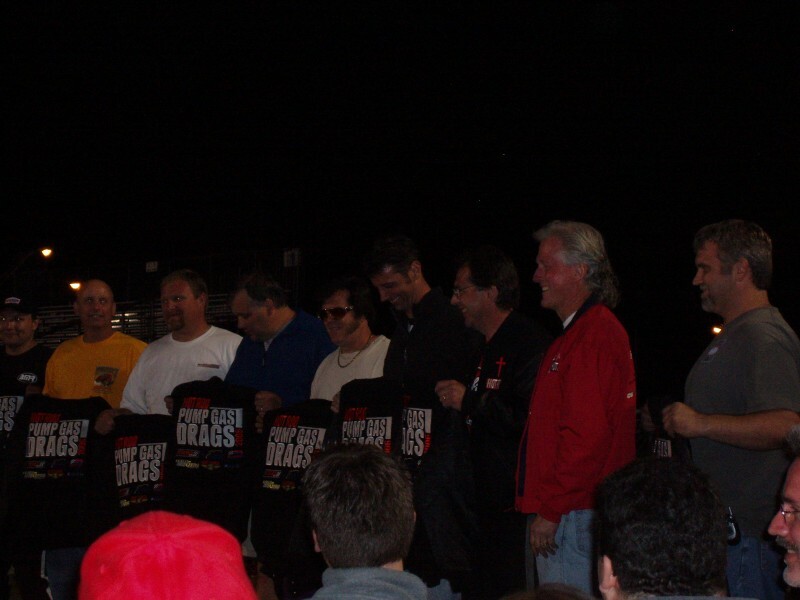 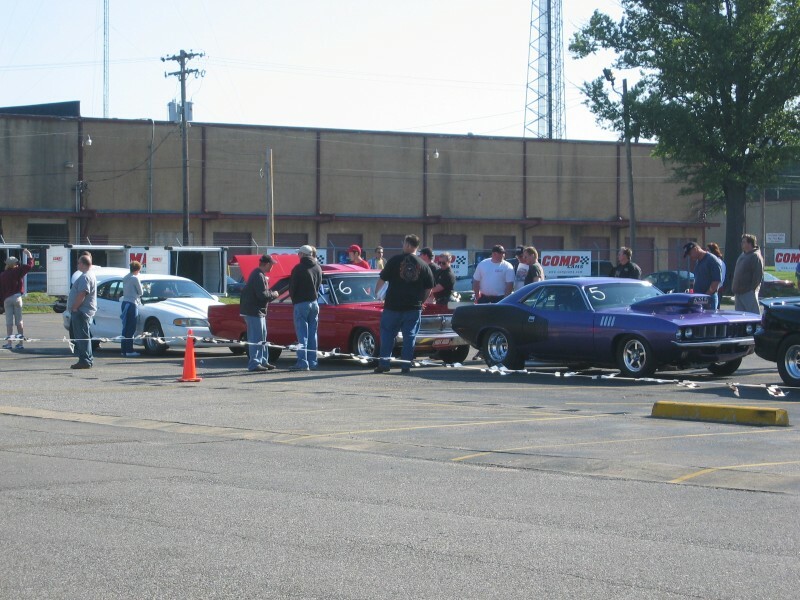 The car was one of 65 cars picked for the event held in Memphis TN May 2006, and finished in the Top Ten. 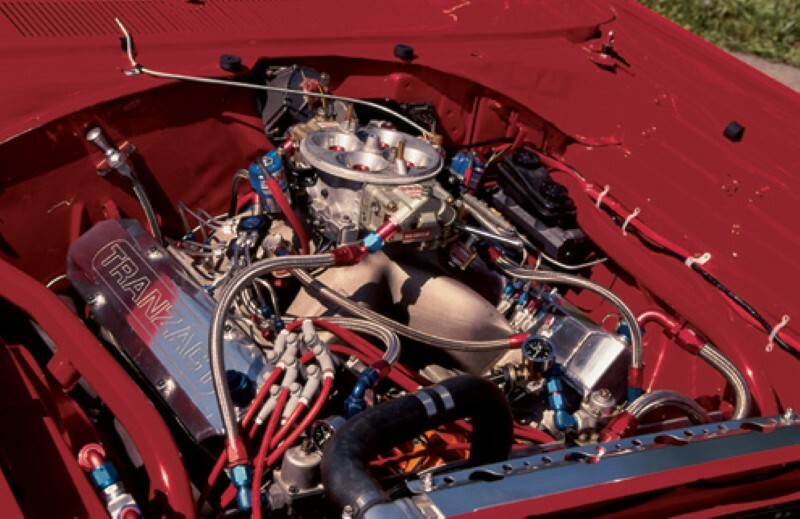 (see Hotrod.com for more info) The car runs in the upper 8’s in the quarter mile at over 150 mph. 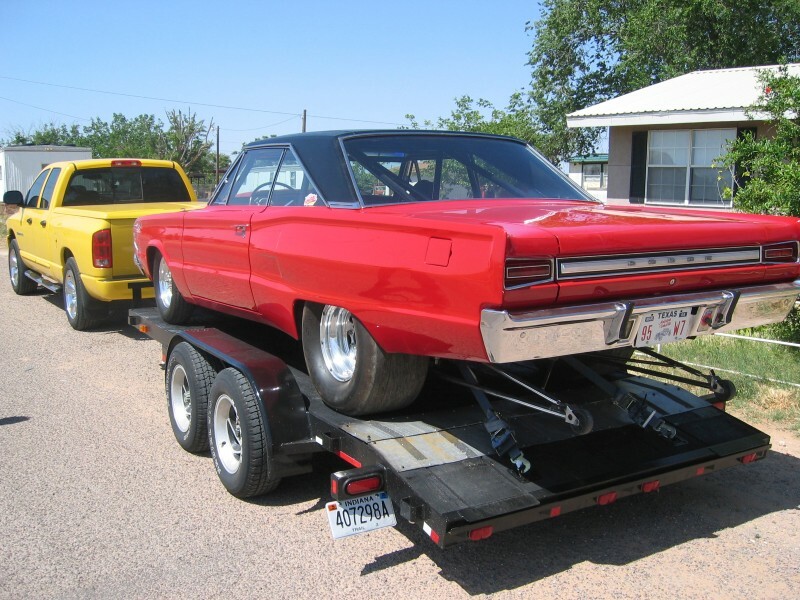 It is Street Legal and driven on the street regularly. 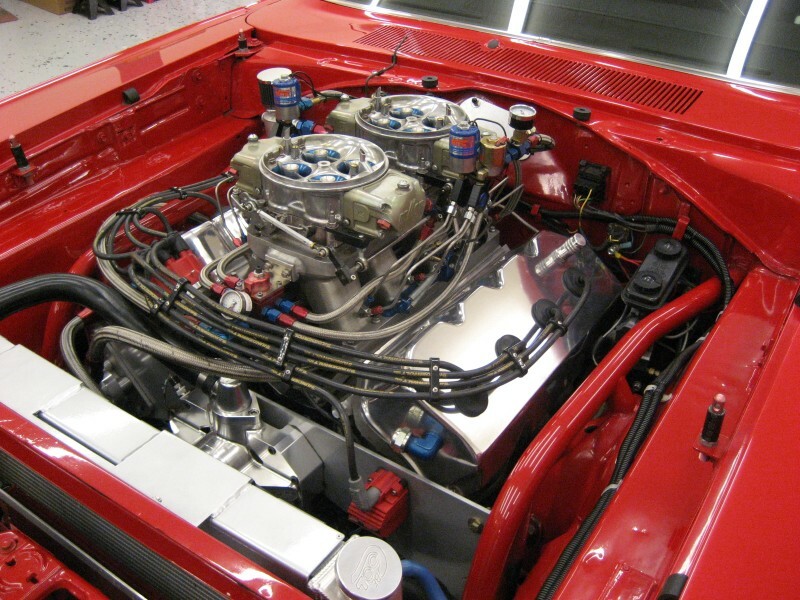 Where else would you find a super clean, Viper red, 1000hp HEMI, turn key, 8 second running, 67 Dodge Cornet. 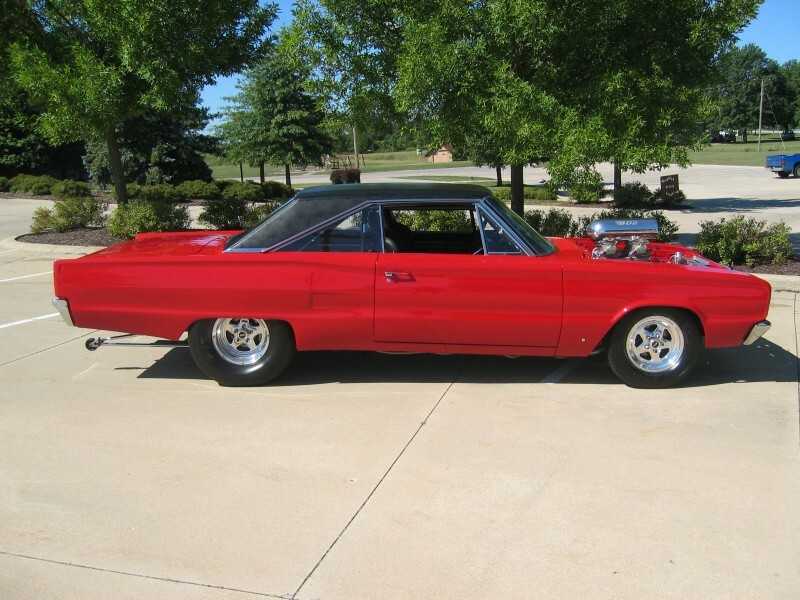 It is one of a kind! 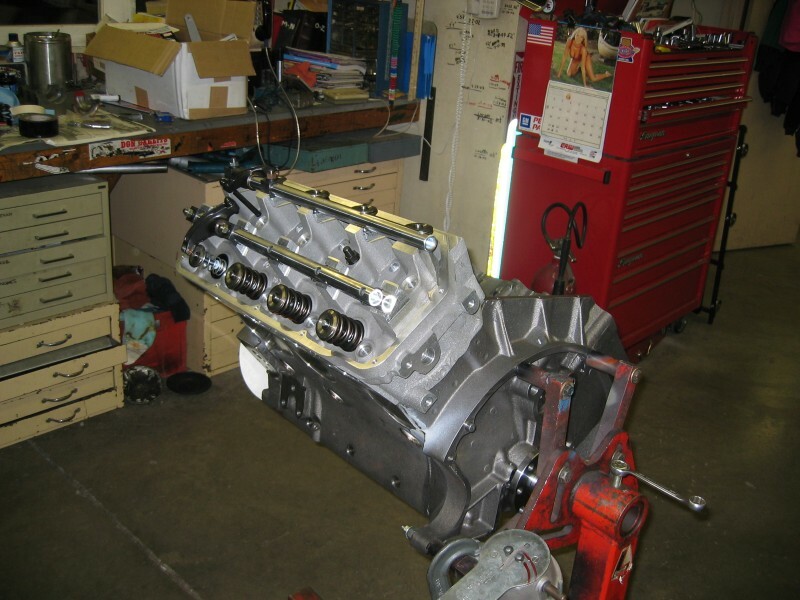 Mick Bodigon, Mad Max, and Muscle Motors built 605 Cubic Inch HEMI: Fully CNC Prepped MP Mega Block, Callies 4340 Crank (4.750”X 2.200”), Eagle Rods (7.100”X 2.200”) w/L19 Bolts, Wiseco 10.75 to 1 Pistons (.990 pins), Milidon Dual Oil System with Charlies deep oil pan, 426-1RA CNC Indy Heads, Indy Polished Aluminum Valve Covers, Comp Cams Custom Ground (by Muscle Motors) Roller Cam and Lifters (HR1) Milidon Gear Drive, 426-14-5 Tunnel Ram with 2 1090 King Demon (TR) Carbs, BG 4 Port Regulator, Indy Linkage Kit, and MSD Distributor. 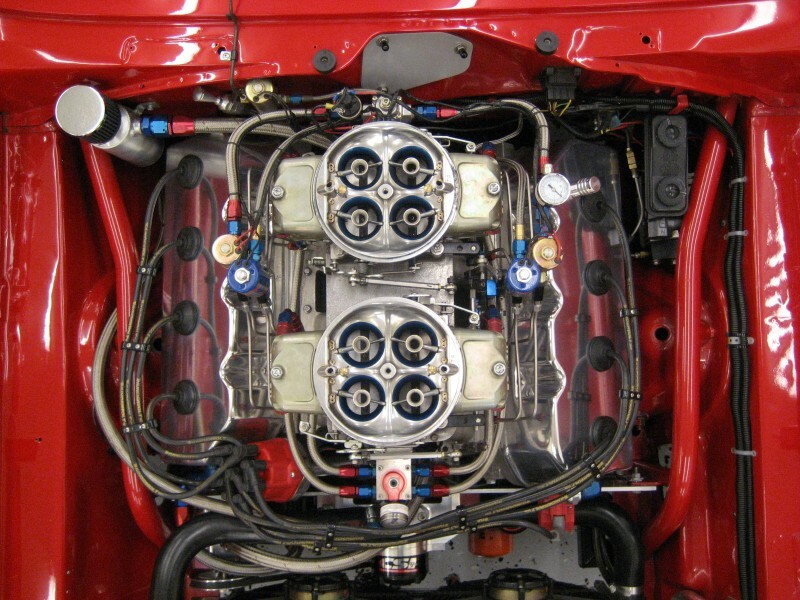 available ratios of 2.77/1.57/1:1, 2.45/1.45/1:1 or 2.28/1.45/1:1, A&A’s ultimate sprag, red, Kevlar or carbon bands and clutches, reinforced band strut and lever, modified front pump and support with A&A’s hardened front pump gears, A&A’s Ultimate Reverse Pattern Transbrake valve body which features sprag protection, instant apply and a quick release, A&A’s billet filter extension and deep pan of choice. 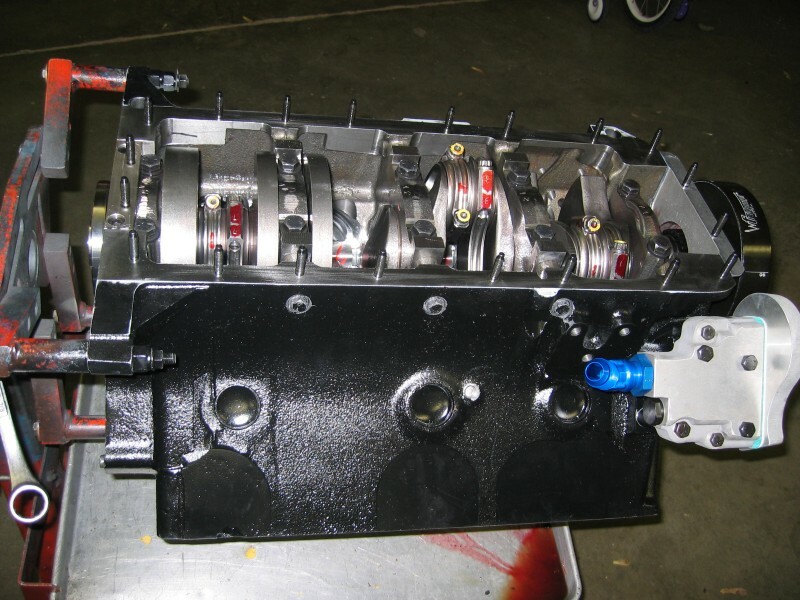 Torque Convertor: Maximum Performance Coan Racing 9” 5200 Stall with Steel Stator. 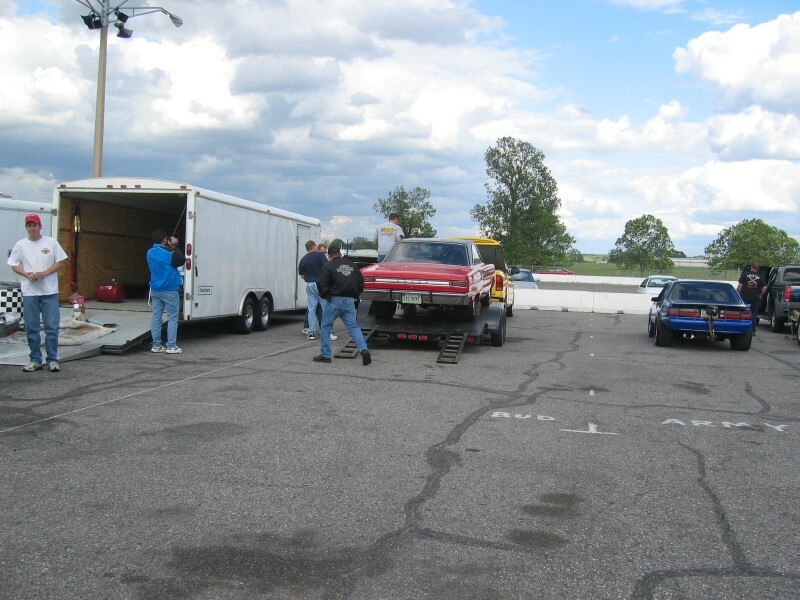 Differential/Wheels/Tires: Beefed up Dana 60 with Moser Axles, Strange Spool, 4.10 Richmond Gears, Weld Pro Star Wheels 15X3.5 Front 15X10 Rear, MT Sportsman Front Tires, and MT ET Drag 14.5×31 Rear. 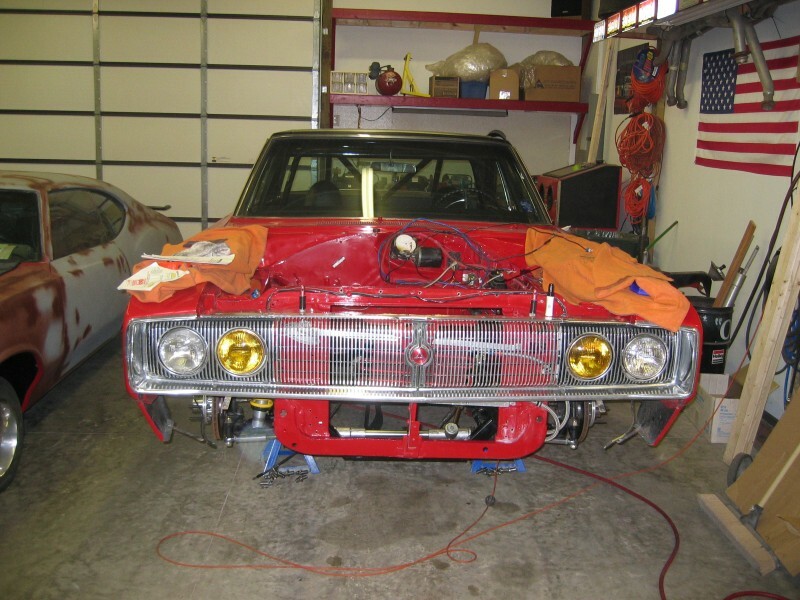 Body /Interior/Trunk: 67 Dodge Coronet “B” Body Rust Free and Super Straight. 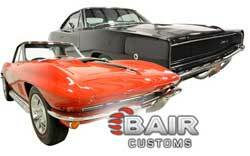 2002 Viper Red Paint. 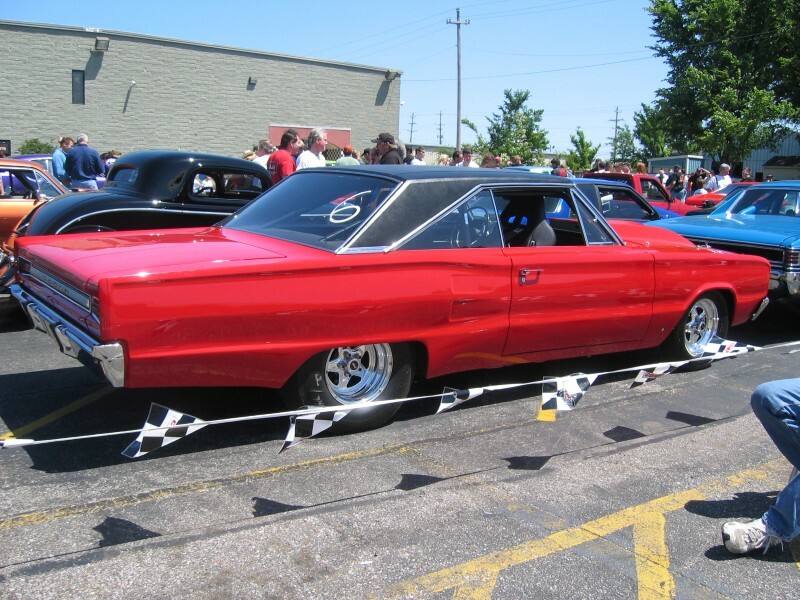 Not your normal 8 second street car…..very clean, could attend any car show and still blow down the track at over 150 mph. 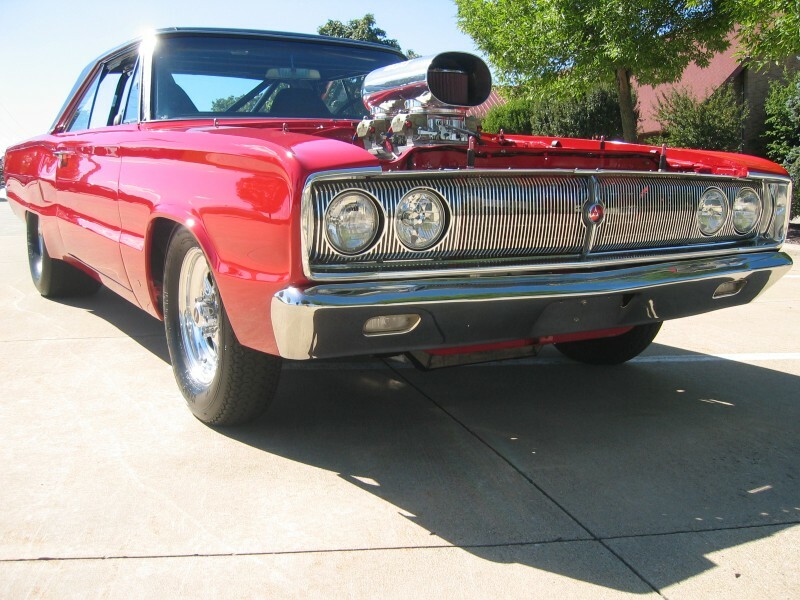 The interior is of factory flavor, with Autometer gauges, 12 point certified to 8.50 roll cage, racing bucket seats with Simpson camlock 5 point harness seat belts, Cheetah SCS shifter, and finished off with nice detail. 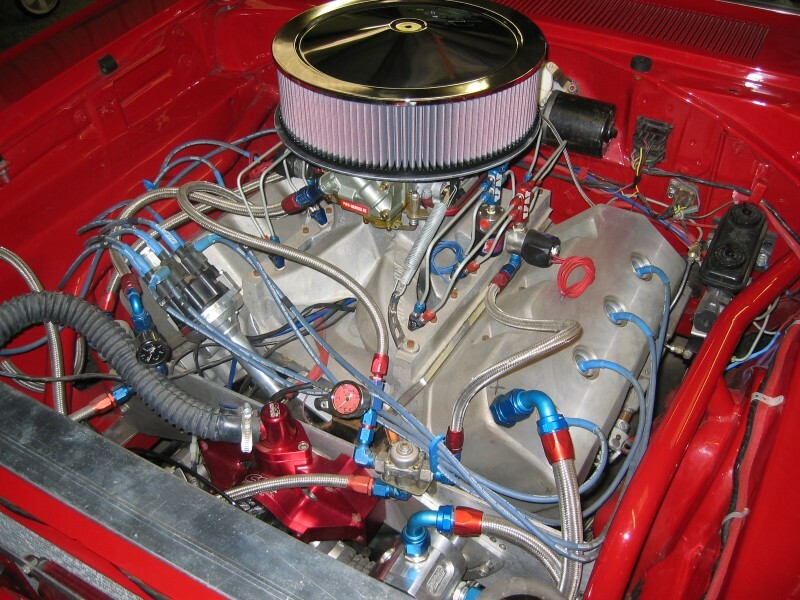 Professionally wired by Lowen Racing with breaker panel and MSD Digital 6-Plus ignition box. 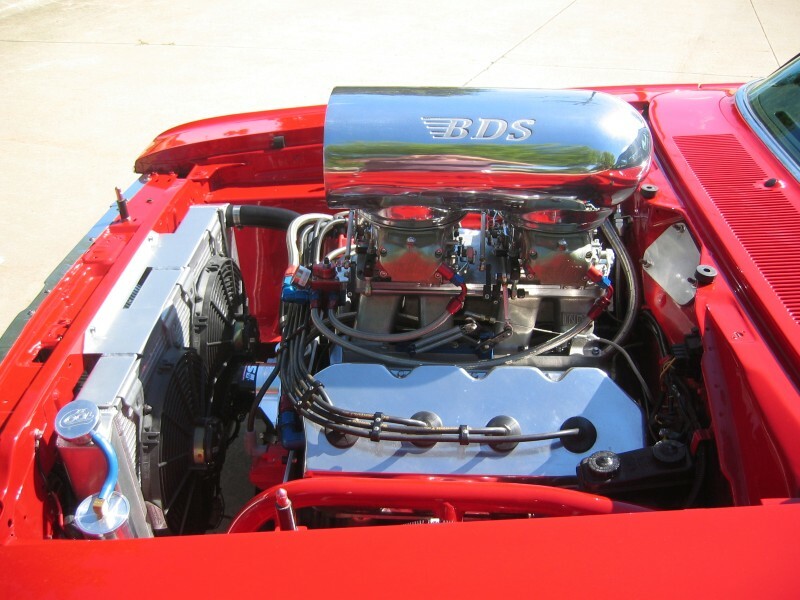 The trunk sports an aluminum fuel cell with dual optima red batteries, a Magna Fuel Pro Star 500 fuel pump with filter, and finished with nice detail. 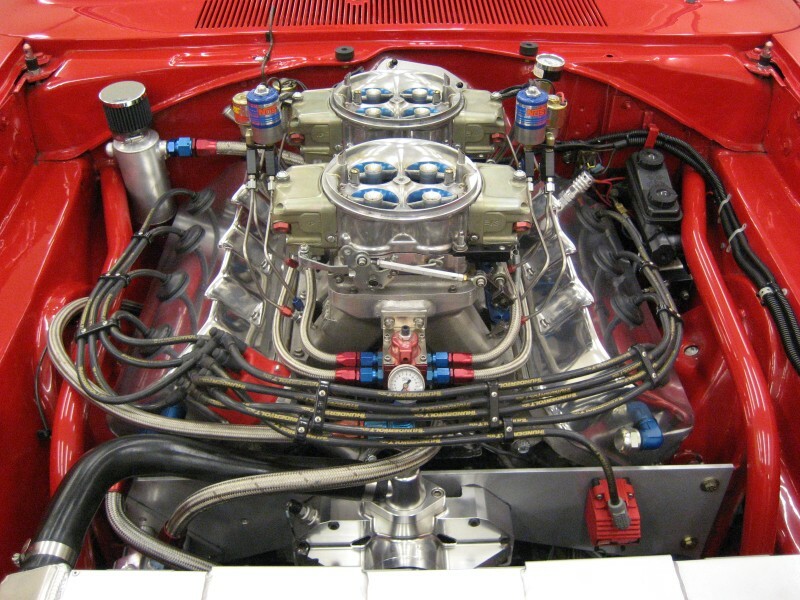 Extras: NOS Pro Race Fogger 150-600hp with 15 lb bottle and pressure bottle warmer, 100 amp alternator, Aerospace Vacuum Pump Kit, Be Cool Radiator Kit with electric fans, CSI electric water pump, MSD Ignition, BDS Custom Dual Carb Scoop with K&N filters, AlterKtion advanced suspension kit with coil over adjustable shocks and rack and pinion steering, Full Wilwood Brake System front and rear, Competition Engineering Motor Plate with limiters. 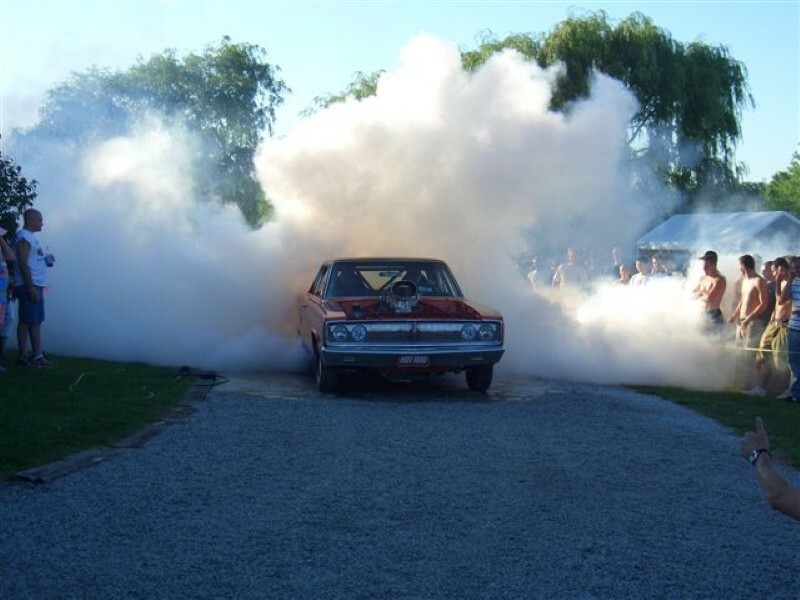 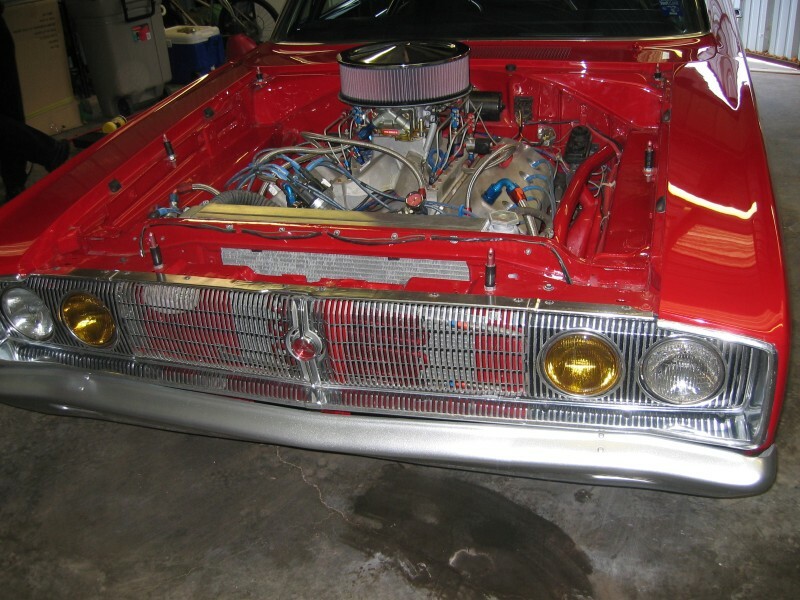 In closing, I think you get the Idea, a very clean, head turning 8 second street car (with 300hp shot of Nitrous, runs upper 9’s without), with a 1000hp HEMI that runs on pump gas…..and you can drive it anywhere.. Drive it to shows, cruise inns, major events, and maybe some street racing.